Learn the basic casts required to get started in the sport of fly fishing on this private, 2-hour casting lesson in Austin, Texas. 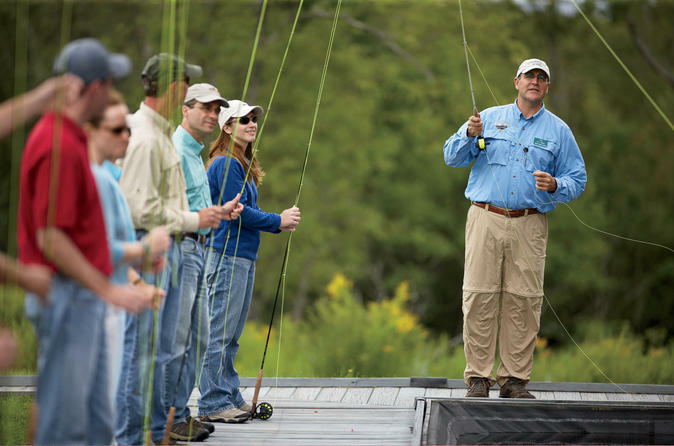 Each student will learn the three basic casts — overhand, sidearm, and roll cast — that are needed to build a solid foundation in fly fishing. All the necessary equipment will be provided as well as handouts to remind students of all the concepts covered in the lesson. Local hotel pickup and drop-off included.